They need grip in the mud, traction on the wettest, hilliest trails and a tough skin that’ll stand up against rocks. In Canada, ATV tires have a tough job, which is why it’s all the more important to make sure you’ve got the best ATV tire for your kind of riding. To help you find the right set, we created this handy guide to choosing ATV tires. Save for an all-purpose ATV tire, most modern ATV tires are designed to perform in specific conditions. Everything—the rubber compound, the carcass and the tread blocks—are built to give grip and durability on a specific surface. It also helps to know if you’ll want the option of being able to cross highways on your ATV, as some ATV tires do double duty. Ply rating is merely a reflection of how strong a tire is in terms of withstanding higher inflation pressures and carrying heavier loads. An ATV tire will usually have a ply rating ranging from 2 to 6-ply. So, if you need to do a bit of hauling, you might want to go for the 6-ply. On a tire with a directional tread (meant to roll in only one direction), side-to-side grooves on both sides of the tire point toward the centre, creating a ‘v’ shape. These grooves pump water through the tread so the tire can maintain contact with the road to help resist hydroplaning. If you’re hitting the mud bogs or even wet conditions, you’ll appreciate having a directional tread pattern. 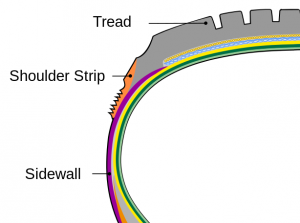 These are the blocks on the tread that bite into the surface for grip and traction. The ‘luggier’ (thicker, deeper) the lugs, the better the ATV tire is to cut through slick surfaces like mud. 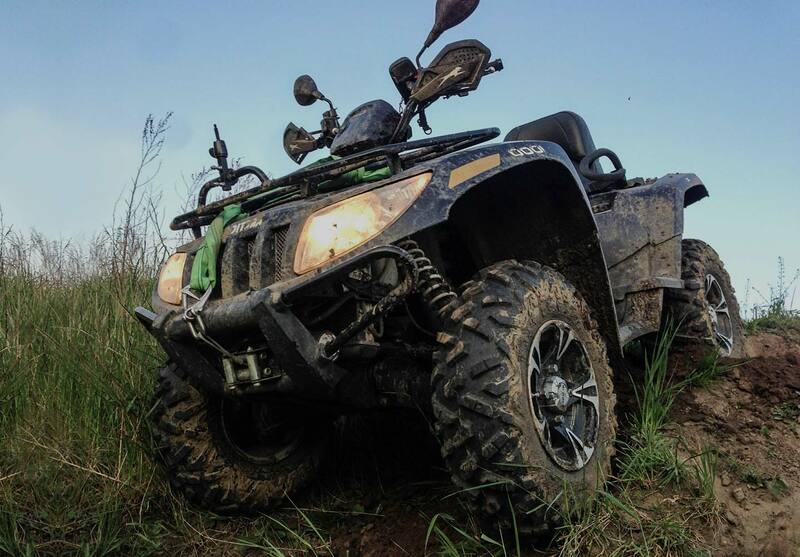 Mud tires have the most aggressive lugs among the types of ATV tires. 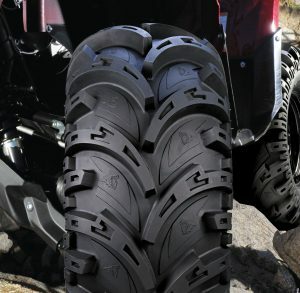 Sometimes the best ATV tire will also have lugs that wrap around the shoulder of the tire for extra bite through turns in slippery conditions. Other tread patterns, like those of motocross ATV tires, have smaller lugs placed in asymmetrical patterns to improve traction in soft loam. The lugs on off-road tires tend to be deep but short for grip across off-road surfaces, from dirt to gravel. Not sure if one of these ATV tires is a match for you? View our ATV tire page, or talk to Kal! Visit one of our Kal Tire locations near you, or talk to a team member online.